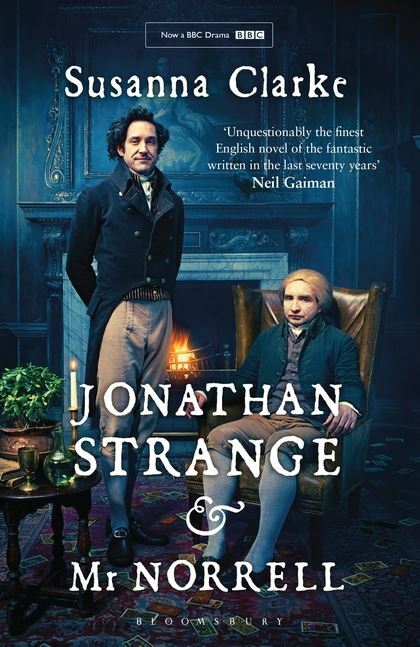 I know this will get me in trouble with some people, but I actually liked the BBC adaptation of Jonathan Strange & Mr. Norrell more than I liked the book. To be fair, although I enjoyed the book, I don’t have a particularly strong attachment to it. If anything, I thought the book would have benefitted from a tighter narrative. Fortunately, the miniseries makes one change that really helps the pacing and increases the dramatic tension. First, some context. The book Jonathan Strange & Mr. Norrell is, to put it kindly, slow. Susanna Clarke modeled the book on Victorian-era English novels, which were written in an era when your average reader wanted to – and had more time to – savor a novel. I’m usually fine with slower novels so long as the plot has a sense of direction. The heroes can take a detour so long as they have already received their quest. The first third of the book works as Mr. Norrell’s rise in London society as he advocates the use of magic. The second third introduces us to Jonathan Strange, and the feud between the two magicians propels the story. However, at one point Jonathan Strange believes his wife Arabella has died. He becomes depressed and the book follows him for a while in his depression. This is where the book almost lost me because it seemed the story had nowhere else to go. The plot regains its focus later when Strange discovers than an evil Fairy had kidnapped Arabella and Strange only saw a doppelgänger of his wife die. At that point, Strange has a new mission: rescue his wife from the land of Fairy. The book handles the switcheroo between real!Arabella and doppelgänger!Arabella somewhat awkwardly. It’s obviously designed to throw readers off, but it comes across as too contrived. The TV adaptation sidesteps this problem entirely by showing the viewer immediately that the evil Fairy had produced a duplicate of Arabella and kidnapped the real Arabella. Thus, even if Jonathan Strange does not immediately recognize the problem, we as viewers do. The story is no longer just about a man wallowing in grief. Having this omniscient knowledge also increases the stakes. Viewers are anxious for Strange to discover the truth so he can rescue the charming Arabella. There’s a ticking clock as Arabella slips further into the world of Fairy. Overall, Jonathan Strange & Mr. Norrell makes a strong case for adapting novels to the small screen rather than the large screen. This story benefitted from the longer runtime. Granted, the BBC adaptation does not and cannot provide the same experience as reading the book because it can’t convey the Victorian prose. It makes up for it by telling a more efficient version of the story, retaining the core character dynamics, and better justifying the high stakes at the end. I have to agree with you. Sometimes adaptations take the best, most interesting parts of a piece of source material, and through editing and pacing make the better.